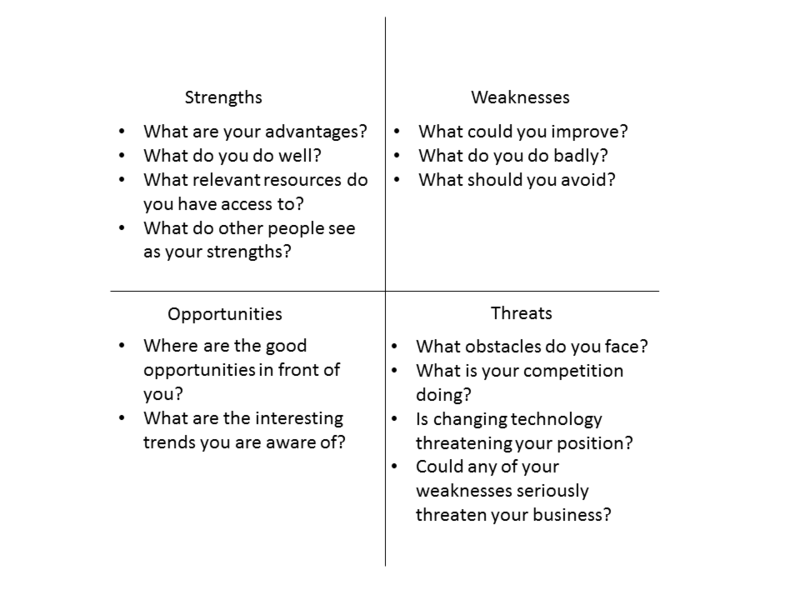 SWOT analysis is a technique, which is widely used to identify and categorise significant internal (Strengths and Weaknesses) and external (Opportunities and Threats) factors faced either in a particular arena, such as an organisation, territory, region, nation, or city. It is a tool that synthesises expert knowledge and results of more detailed studies. In addition to just listing the factors also their importance for the future can be analysed. SWOT can be used in the beginning of a foresight process to identify the current situation and the perceived threats and opportunities. As it is easy to do, it provides a good starting point for a more in-depth analysis.